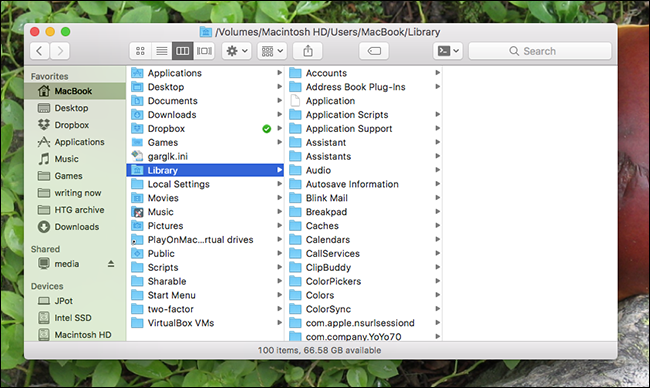 A lot of Mac tutorials mention the Library folder, which is where your macOS applications store things like settings and caches. Some settings can only be changed by editing files in the Library. But the Library is hidden by default. That makes sense: messing with this folder can break programs pretty quickly, so it’s not something you want every user finding. But if you consider yourself an informed user, and want to open your Library folder, here’s how. If you just need to access it occasionally, this is the fastest way. Open Finder, or just click on the desktop. 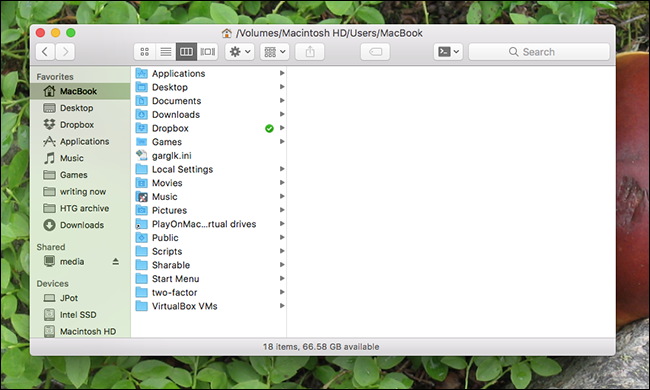 Then click “Go” in the menu bar, and select “Go to Folder”. You can also skip all this clicking by pressing Command+Shift+G on your keyboard to access the Go to Folder menu. Type ~/Library in the box and hit Enter. The “~” is the universal UNIX symbol for the current user’s home folder, and “Library” is the sub-folder you’re trying to open. When you hit enter, you will see the Library folder. From here you can make whatever changes you wanted to make. As you can see, the icon for the Library folder is faded, which means the folder itself is still hidden. If you don’t want to open “Go To Folder” every time you want to access the Library, you can unhide the folder for good. 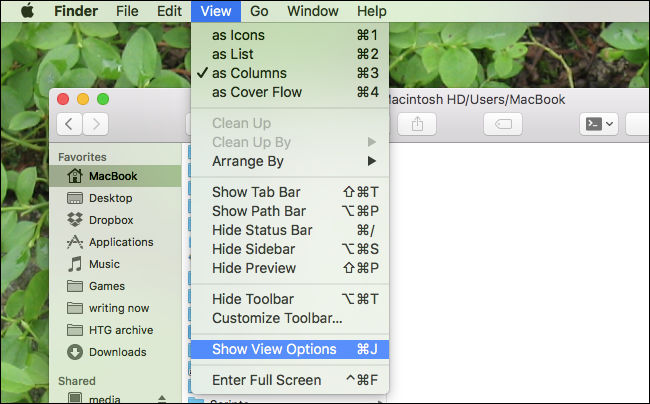 To do this, open Finder, and head to your Home folder. You can do this by clicking the name of your username in the sidebar, or by pressing Command+Shift+H on your keyboard. Alternatively, you can press Command+J on your keyboard. The View Options window will pop up. 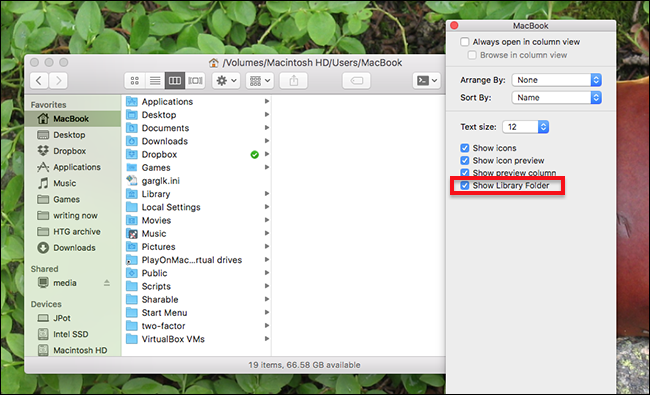 Make sure “Show Library Folder” is checked. Close the window, and the Library folder will be revealed. The Library folder is no longer hidden, and will stay visible until you change this setting back. If you’re the kind of user who likes to tweak things constantly, leave it visible, but think twice before leaving this visible on someone else’s computer.